BedRug redefines the way you use your truck. One day concrete blocks... the next precious antiques. BedRug handles it all. 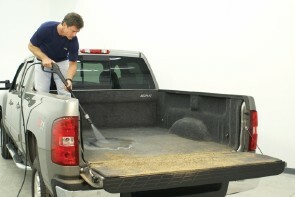 Get your truck into a BedRug, and discover a truck bed liner that actually does everything you would want. 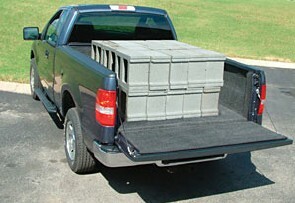 BedRug bed liners handle rough and heavy loads, and then act as the perfect soft surface for fragile items or tailgating. A "Lakeland" Truck Cap and a "BedRug" bed liner in your box.